I have been using Openshift to host my WordPress website www.51sec.org for a while. Domain 51sec.org was registered at GoDaddy and I was struggled with plain domain or naked domain 51sec.org not corrected pointing to my openshift App, although www.51sec.org is always working fine. Eventually after googled from Internet, I understood why and made it working . There are two different solutions, one is to use cloudflare domain services which is using flatten domain feature to achieve it. Another way is to configure Godaddy domain properly with forwarding option. Here are all steps for Godaddy configuration. Open you openshift APP. Add www.51sec.org as your only Alias for this app. 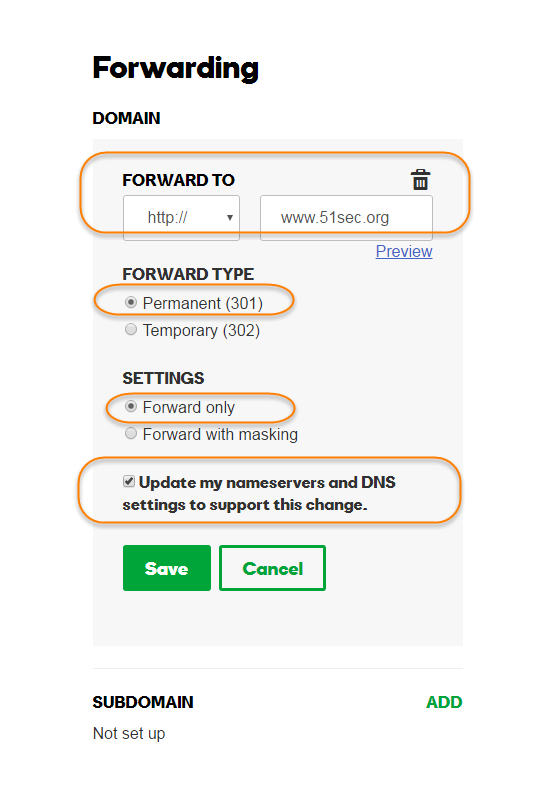 Many people messed around this step since they think they thought plain or naked domain 51sec.org should be added too. 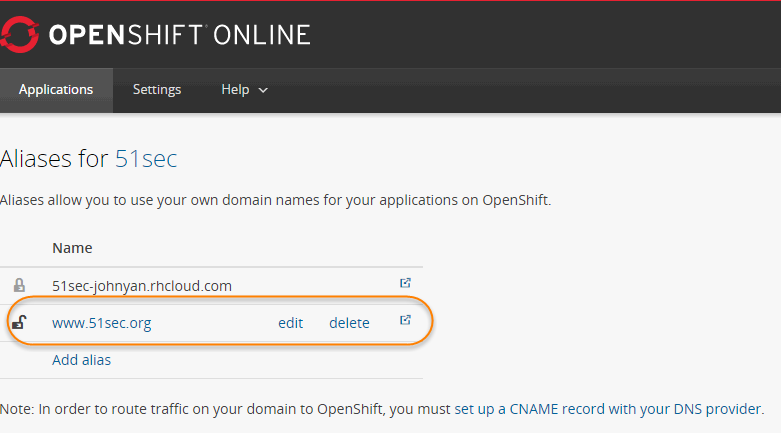 There are two types of error if you failed to keep only one alias www.51sec.org here when you try to use plain / naked domain to access your Openshift Apps. 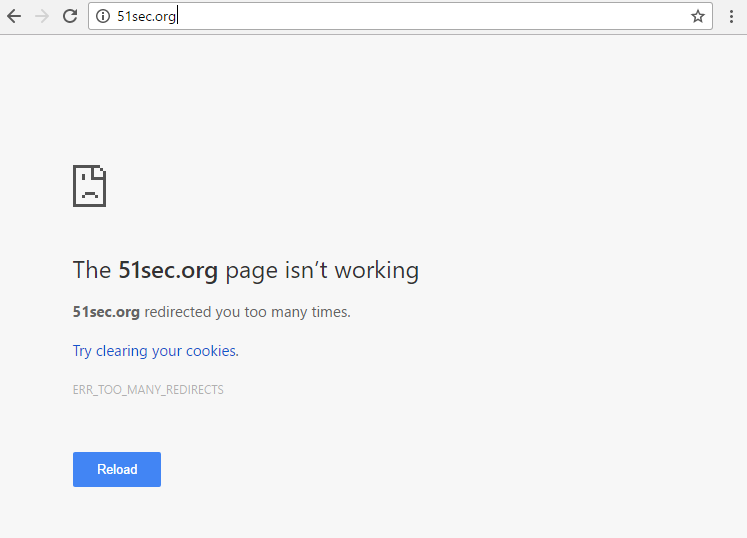 Browsers will tell you your website page isn't working. It has redirected you too many times. Chrome or Firefox will suggest you to try to clearing your cookies. But basically that is not the cause. Usually it caused by defined your plain / naked domain as alias in your Openshift app. 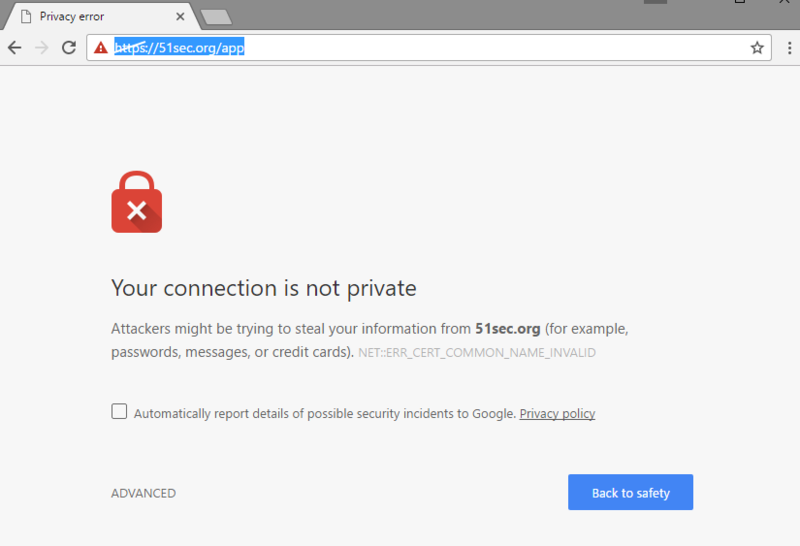 Browsers will open https://<plain/naked domain>/app instead of your real website. Basically Openshift will redirect you to an not existed page https://<plain/naked domain>/app. It usually caused by DNS cache on your name service provider. You will need to wait around one hour to see if issue has been resolved. 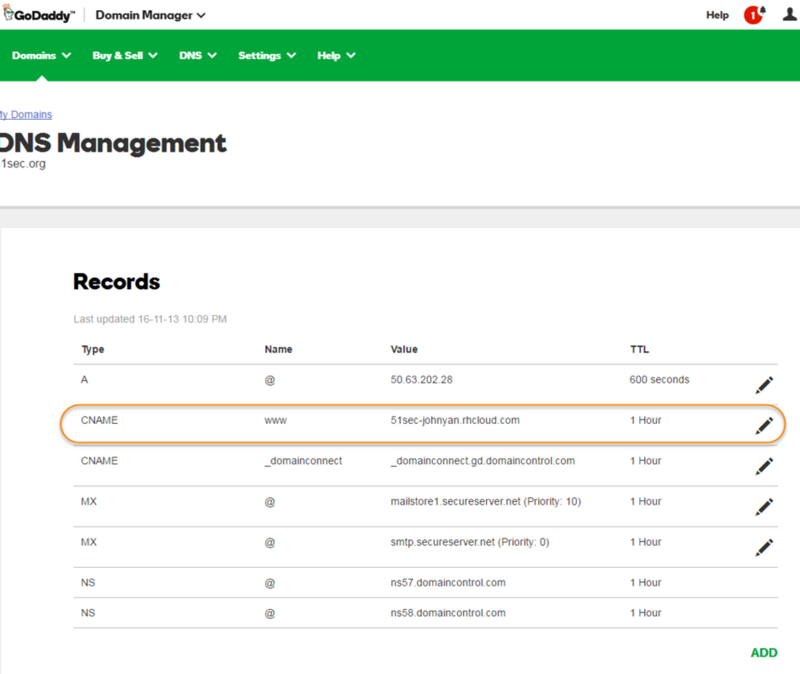 Log into GoDaddy account and go to GoDaddy Domain Manager dashboard You will only need to add one cname type record. This Forwarding feature is in the same page as Domain Manager page. You just need to pull down to the bottom to see this option. Check Update my nameservers and DNS settings to support this change. After above two steps, your Openshit App should start to support plain / naked domain access. It may take a while to take effect , but it will work. I found before it takes effect, your plain / naked domain might still direct to https://<plain/naked domain>/app page. How to use naked GoDaddy domain with OpenShift hosting?